University of Oxford professor Sir Andrew Wiles has solved an old mathematical problem and been awarded the Abel Prize, one of the most prestigious awards in the field. 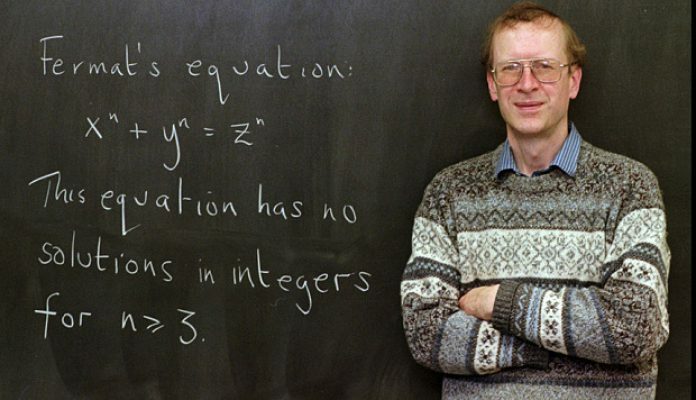 Sir Andrew Wiles’ proof of Fermat’s Last Theorem also earned him the prize of £500,000 for proving a theory that has bewildered mathematicians since it was proposed by its creator nearly 400 years ago, and who ran out of jotting paper before finishing the proof of his own theory. Sir Andrew Wiles, a 62-year-old number theorist, was awarded by the Norwegian Academy of Sciences and Letters with the 2016 Abel Prize for his work on Fermat’s Last Theorem. The Abel Prize, which is regarded as the Nobel Prize for mathematics, is worth 6 million kroner (equivalent to £500,000 or $700,000). Wiles’ work had opened new tools that allowed researchers to make great and ambitious strides to bring together disparate branches of mathematics. The academy described the achievement as an “epochal moment” for academics. The Oxford professor said solving the theorem gave him an overwhelming sense of fulfilment. “It is a tremendous honor to receive the Abel Prize and to join the previous laureates who have made such outstanding contributions to the field,” said Wiles. When Wiles was 10 years old, he had stumbled upon Fermat’s Last Theorem in E.T. Bell’s “The Last Problem” at his local library in Cambridge. 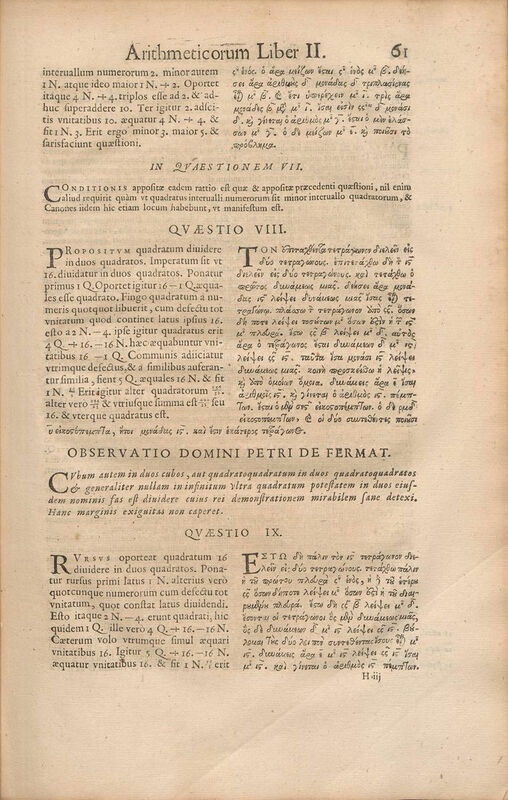 The theorem was formulated by Pierre de Fermat, a French mathematician, in 1637. It states that there are no whole number solutions to the equation x^n + y^n = z^n, when n is greater than 2. Wiles said the problem captivated him as a young boy. The theorem has been the most popular problem in mathematics, but he didn’t know it at that time. Fermat once claimed that he had proved the theorem, but he also said the margin of the book he was jotting notes in was too narrow to elaborate. Since then, scholars and mathematicians all over the world have attempted to solve the problem but failed to do so. While he was a faculty at Princeton University, Wiles decided to embark on a solitary quest to solve the problem. After seven years of intense studying, Wiles disclosed his proof to the public in a series of lectures at Cambridge in 1993. When the professor wrote the proof on the board to end his lectures, the room had erupted in applause. Unfortunately, a mathematician found error in his proof in 1994. He was devastated, but vowed to fix the error. Wiles called on his former student Richard Taylor to help him. After a year, the error was corrected and the revised proof was published. How did Wiles solve the problem? He combined three complex mathematical fields: elliptic curves, modular forms and Galois representations. “The truth is the methods I used were not any more sophisticated than I could certainly do as an undergraduate,” said Wiles. But the pressure on the shy mathematician almost crippled him. Wiles’ methods to solve the theorem have had a lasting effect on the field of mathematics, and are still being used today. He actually took a different approach to solve the problem – by proving the 1950s Shimura-Taniyama conjecture, which proposes that two very different branches of mathematics are conceptually equivalent. The professor said the proof didn’t just solve the problem, it also introduced new ways of attacking Langland’s Program – one of the big webs of conjectures of contemporary mathematics. This aims to unify different branches of the discipline. Meanwhile, although it had been difficult for Wiles to get back into work, he is working on another major unsolved conjecture in history – the Birch and Swinnerton-Dyer Conjecture.